Pastel Workshop: Denver at The Madden! 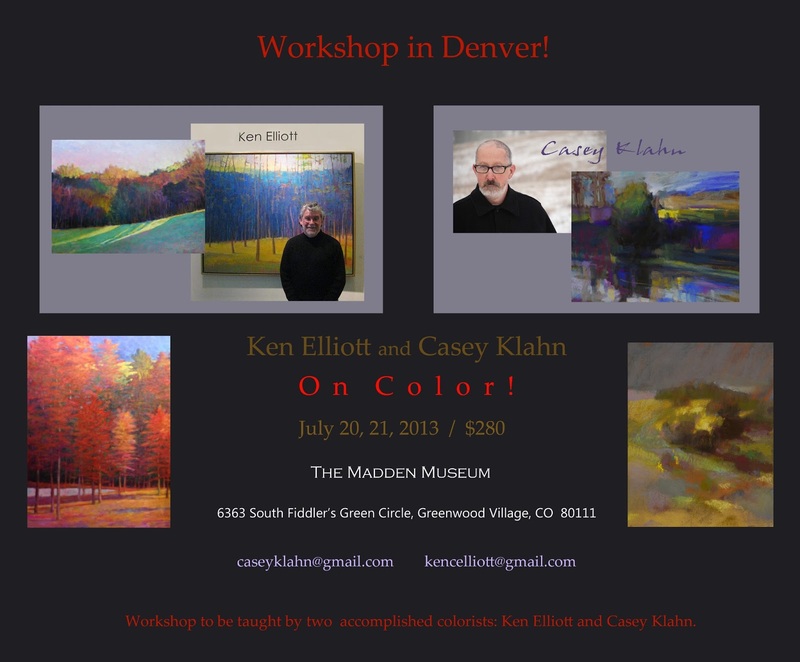 Ken Elliot and Casey Klahn Will Teach On Color! Denver at The Madden! Ken Elliot and Casey Klahn Will Teach On Color! July 20 and 21, at The Madden Museum in Denver Metro. All media welcome. Contact either Ken or myself. I would feel like I died and went to Heaven if I could attend this workshop! The two of you together ... awesome! Wishing you great success ... I know that will happen. Sorry, I will be in the Denver area mid-June to teach a workshop for Terry Ludwig and can't swing another visit. You are very complimentary, Marsha! Many thanks. Maybe I will be in Atlanta the following year.